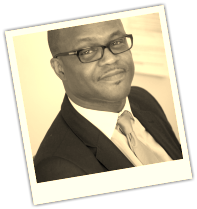 Mr. Jimi Odejinmi is a consultant gynaecologist and specialist in advanced keyhole surgery for gynaecological disorders. He is Fellow of the Royal College of Obstetricians and Gynaecologists and has an additional masters degree in advanced gynaecological endoscopic surgery obtained from the university of Surrey. 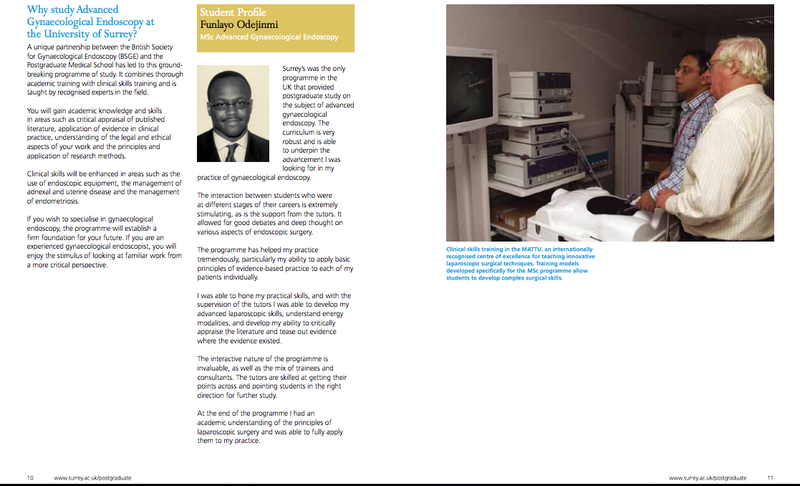 His post graduate training included rotations through University college hospital London, the Royal Free hospital and St Bartholomews and the Royal London Hospital. He is passionate about patient centered care as no one therapy suits all women however any treatment should be aimed at least discomfort and maximum benefit most times this can be achieved by minimal access surgery. Mr. Jimi Odejinmi talks about Ovarian Cyst Rupture. 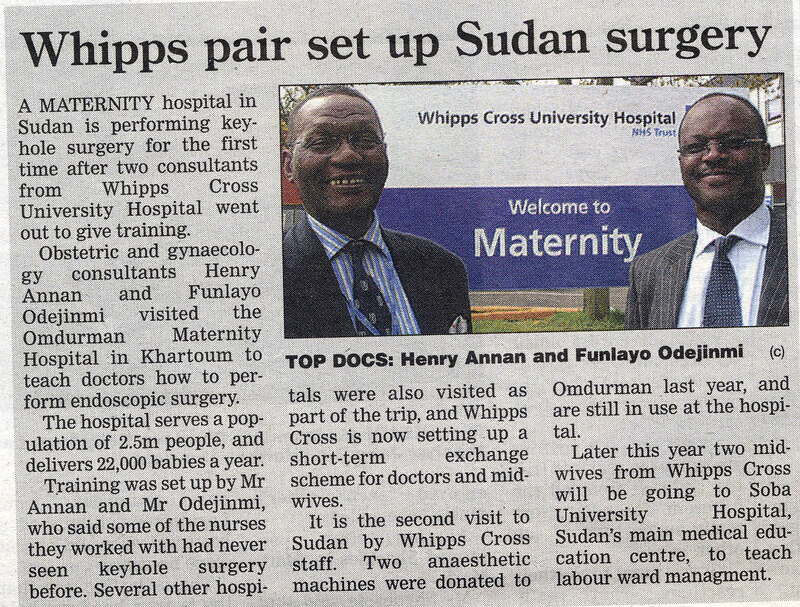 WCH Magazine (JPG) - "Key-hole surgery in Sudan thanks to Whipps Cross consultants". Guardian Newspaper (JPG) - "Whipps pair set up Sudan Surgery".